Will upcoming changes in the VA help disabled vets get the housing accommodations they need? However, the path to successfully obtain disability benefits from the U.S. Veterans Association is notoriously bogged down in bureaucracy. The Veterans Appeals Improvement and Modernization Act was passed by Congress in 2017, but it is set to go into effect in February 2019. There are a number of changes that are being made to the VA appeals process. Congress gave the VA an 18-month period to ramp up systems and employee training to accommodate the new system. The race to meet the deadline has been tenuous. As of early September 2018, the VA was still waiting for funding approval to hire an additional 605 employees in the Veteran Benefits Administration. Why is this such a huge undertaking? The number of people living with both disabilities and homelessness in the United States is staggering. Furthermore, the percentage of those folks who are U.S. military veterans is an outrage. Physical and mental disabilities caused directly or indirectly by their military service are typically considered eligible for disability benefits via the VA, circumventing the process for state welfare and civilian housing subsidies. Yet filing and approving those claims (and often, appealing denials) can take years, if not close to a decade in the worst cases. 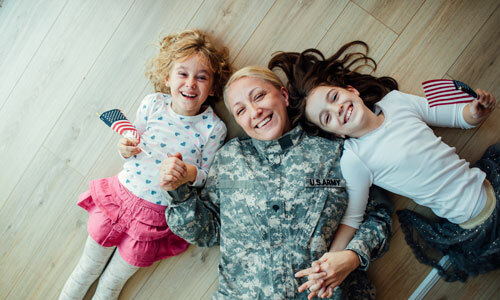 Typically, a veteran proving disability from service will first apply for benefits and be legally recognized as disabled by the VA. Then they are eligible to apply for specially adapted housing grants, special housing adaptation grants, or even temporary residence adaptation grants. The combined process can be taxing. But if the initial claims process is simplified and sped up, then the housing market could soon see an influx of new veteran buyers. This could be a simple federal-level step toward reducing homelessness among disabled vets. The Act hasn’t been without its critics. A 2017 opinion piece from “The Hill” contributor John Wells comments warily on the then-brand-new reform bill. Wells claims the streamlining process could “strip due process from veterans” by eliminating a clear explanation of “duty to assist” a veteran on the part of the VA. Whether or not specific wording will hold the VA to different standards regarding protection of veteran interests remains to be seen. There are ways the public can help. For example, a real estate agent who may frequently work with veteran buyers or renters may familiarize themselves with the grants and processes their clients go through. Not only can this smooth over communication between the agent and veteran client, but it can also give the agent tools to support and guide their clients in a productive path towards safe housing. Cassandra Crosby is a Veteran’s Claims Advocate for Hill & Ponton. She has over 20 years of experience in the management of non-profit programs specializing in mental health, substance abuse, and victim services.